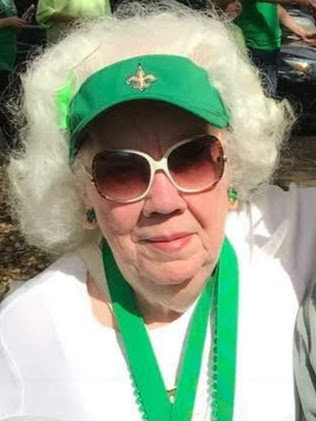 Nellie Jean White, a native of New Hebron, MS and a resident of Daphne, AL, passed away on Wednesday, October 31, 2018 at the age of 88. Jean retired after 33 years of service from USA Medical/Mobile General Hospital. She is preceded in death by her parents, Mac and Annie Lou McCaskill. Jean is survived by her sons, Jimmy (Sharon) White and Billy White; grandchildren, Adam White, Bridget Stapleton, and Jacob White; great-grandchildren, Brannon White, Brianna (Clemons) Fornoff, Dyllan Clemons, Mila White, and Sean White; and sister, Becky Drake. A memorial service will be held at Christ the King Catholic Church in Daphne, on Wednesday, November 7, 2018 at 11AM with a visitation before the service at 10AM. In lieu of flowers, the family asks that donations be made in her memory to your favorite charity.